Enjoy Rome’s most wonderful sights and piazzas during our Rome by night Segway tour, whilst experiencing the charming atmosphere of the Italian nightlife. 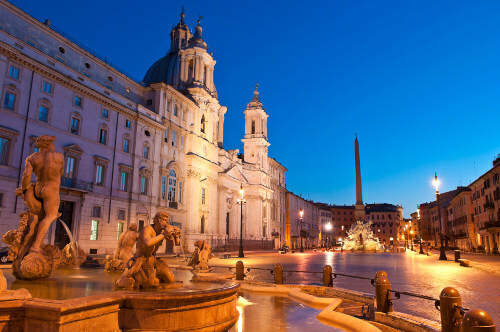 Be illuminated, not only by the city lights, but also by the special light in which Rome’s monuments shine by night. 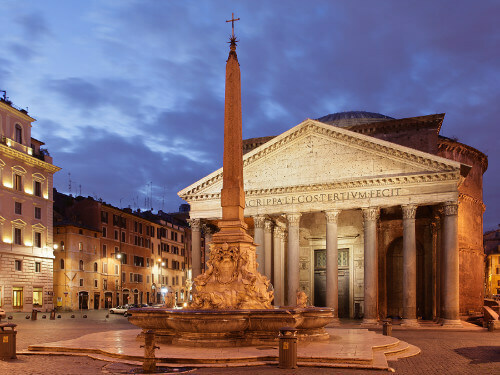 Admire the stunning treasures in Rome such as the Colosseum and the Pantheon while listening to incredible stories about the notorious rivalry between the two architectural masterminds Borromini and Bernini. Be amused by one of the many anecdotes that make this marvelous city so unbelievably enchanting. 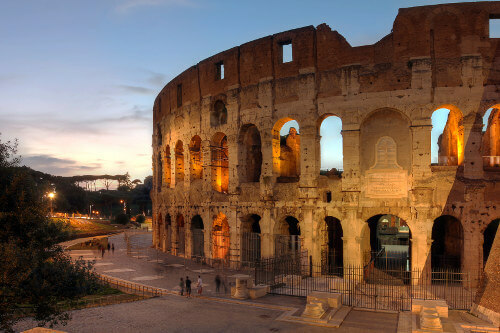 On this Rome by night Segway tour you will experience Rome’s ancient history and live La Dolce Vita by night riding on a Segway. 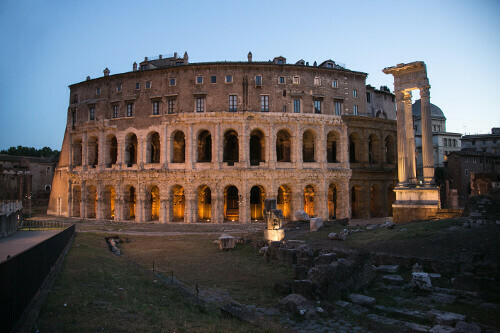 You can also book our Rome by night tour as a private tour. 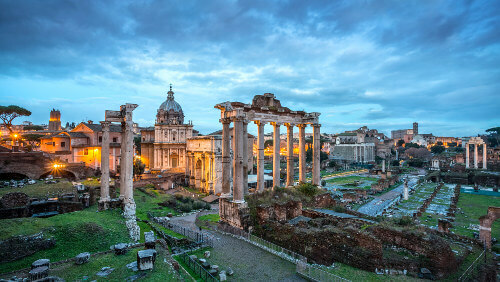 Be enchanted by the unique view over the illuminated Roman Forum. You will be amazed by the very special effect the world’s oldest archaeological site has at night. During our Rome by night Segway tour by night you will see all of Rome’s major sights when they are magically illuminated. 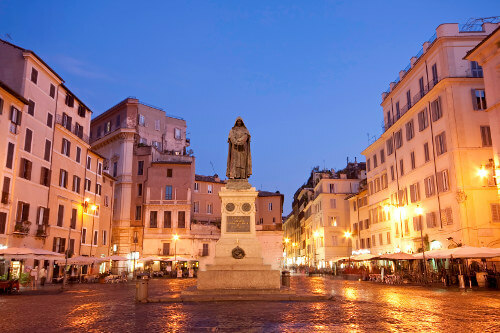 Come with us to the most beautiful squares such as the magnificent Piazza Navona, the Pantheon and the Capitoline hill and experience Rome’s nightlife around the Spanish steps. In Rome when the sun goes down the fountains shine like diamonds. The contrast of colors between white marble and blue water underline the beauty of these jewels build during the Renaissance. 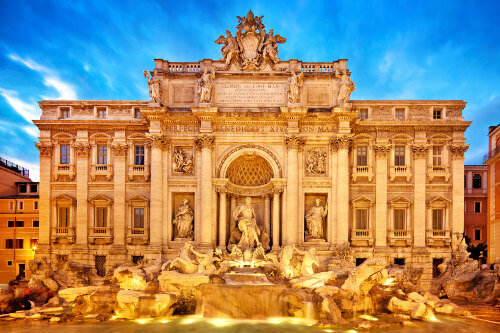 You will be amazed by the splendor of the Four Rivers Fountain and the Trevi Fountain. If you visit Rome during the hot summer months and still would like to discover the city with mild temperatures, this tour is just what you need. Gliding on a Segway through the Eternal City with a pleasantly warm breeze in the evenings is the perfect choice for summer. 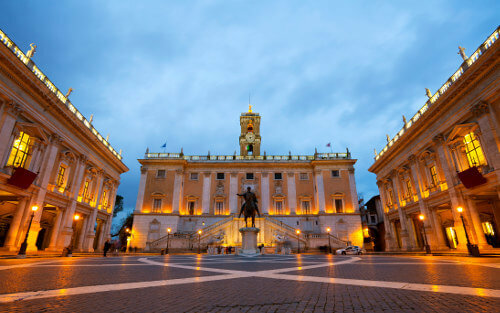 This tour offers the unique chance to discover Rome’s empty squares and main sights without a large number of visitors. Moreover you will enjoy the Segway tour by night with Rex-Tours in small groups with a maximum of 6 people. The beautifully illuminated Colosseum seems even more magnificent by night and is a real highlight during our tour. Join us on a Segway drive around the stunning world’s largest amphitheatre by night. All Rex-Tours are available in English language. next 48 hours it is not possible to book online. This does not mean that the tour is fully booked. call us at:+39 06 87690040. The transaction is secure and simple thanks to the PayPal checkout system. You can pay by credit card even if you haven’t got a PayPal account. Once your transaction is completed you will receive an email with the booking confirmation from Rex-Tours. Rex-Tours is a licensed tour operator in Rome. We offer small group tours in Rome in English language. Our Rome Segway tours have maximum 6 participants. Our Rome Food Tour and Rome Bike Tours have maximum 8 participants. This way we can guarantee an excellent service and a wonderful Rome experience.